Lehigh County Authority operates two wells close to the Little Lehigh: Well 8 and Well 12. Both of these wells continue to show normal water levels and are not approaching drought levels. 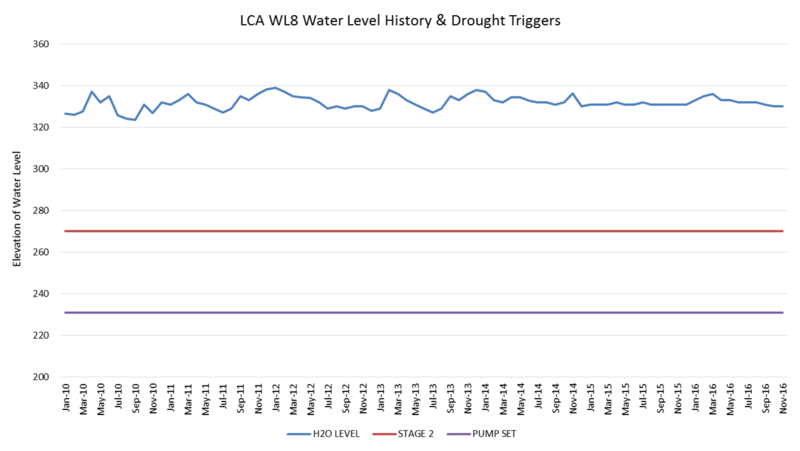 Data for Well 8 since January 2010 is below. You can see that the water level in the well has been fairly steady. This would seem to indicate that the groundwater levels have not fallen around the well. We’re in the process of confirming those assumptions by checking monitoring wells nearby and conferring with hydrogeologists. 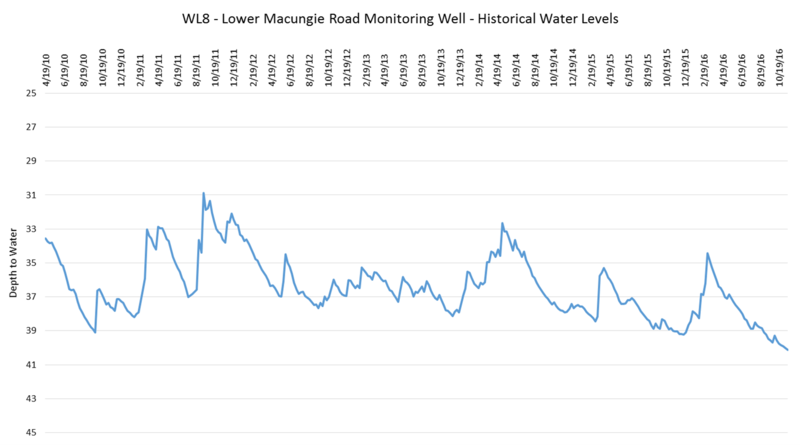 One of the monitoring wells for WL8 is close to Lower Macungie Road. This summer, it dipped to its lowest level since 2010 when we’ve been monitoring here (see below), but we’re still not too far below that level. We will continue to watch this monitoring well to see if tells us anything about WL8.